like you used to do? So why don’t you love me like you used to do? 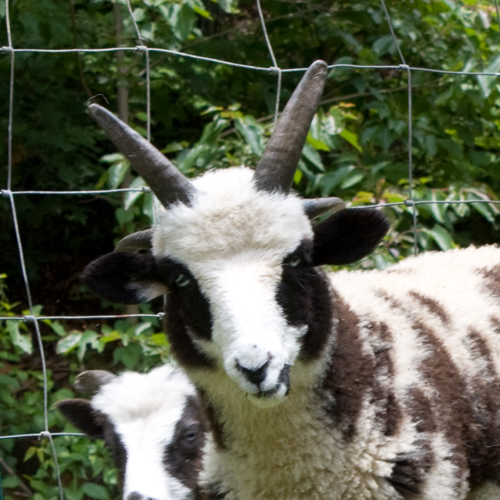 Someone asked me if I’d be willing to do critiques on my flock – why I selected and kept a particular sheep. What I liked and what I didn’t. 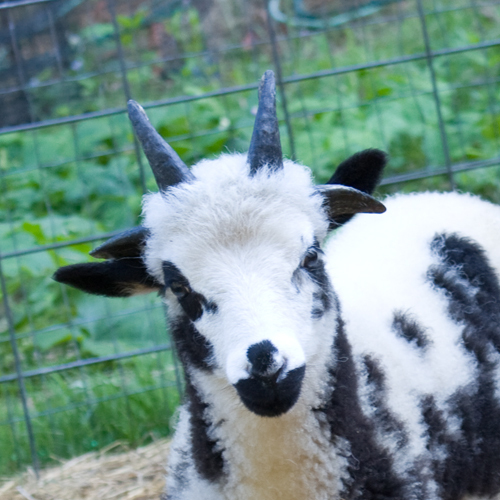 I’m willing, but it’s a rather overwhelming project right now, so I’m going to start with a ram lamb that didn’t make the cut. 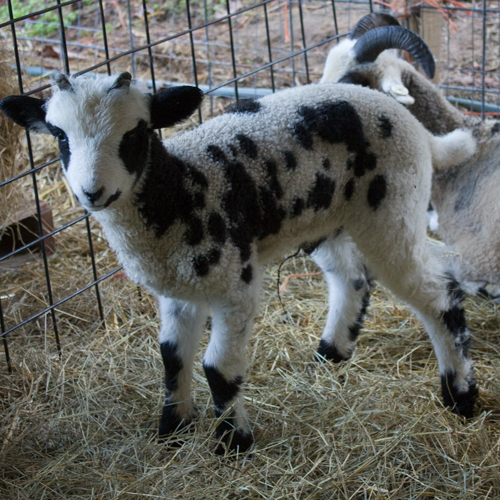 Few things have as much potential as a young lamb. 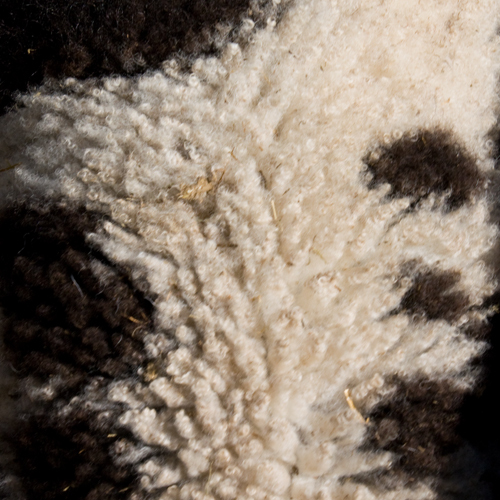 The possibilities are endless for a lamb with nice markings and a nice birth fleece. 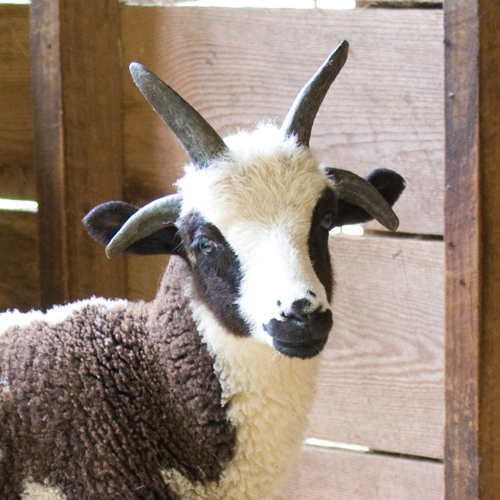 Gallivant was the most asked about ram lamb. He had potential! Gallivant is freckled, which is sadly disappointing as neither parent is freckled. 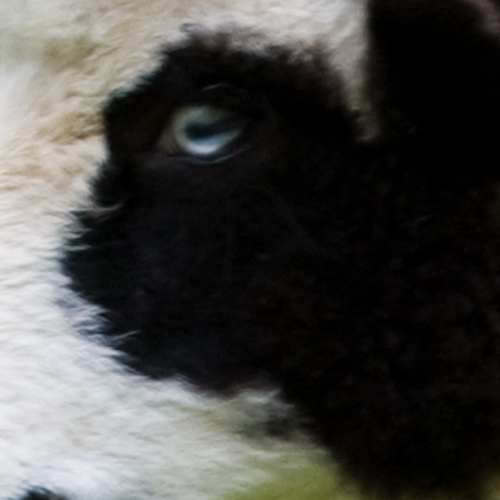 Gallivant has a slight eyelid notch. It’s slight enough that I really have to pull up his eyelid to see it. I don’t normally cull for such a slight notch, but it is something I consider. Gallivant had not yet jumped all the way to a wax paper future. 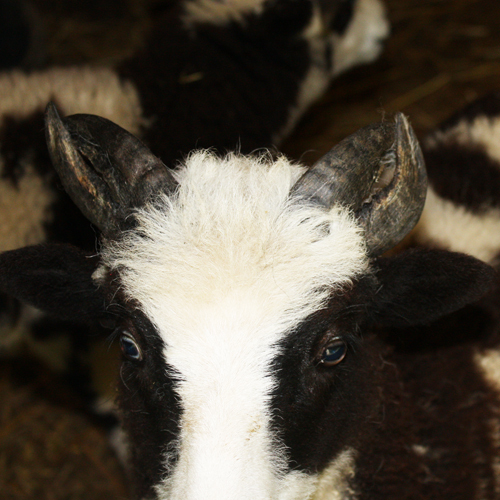 Lower (lateral) horns that grow into the face, cheek or neck are not desirable per the JSBA standard as well as posing a potential (potential isn’t always positive!) for being a threat to the animal’s well being. 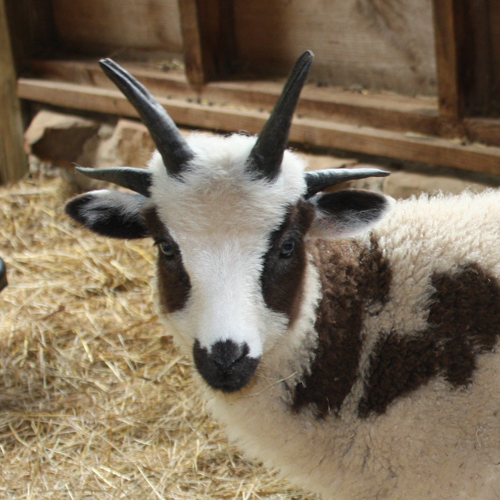 Gallivant’s horns take such a drastic backwards turn that the tips are not visible from the front. 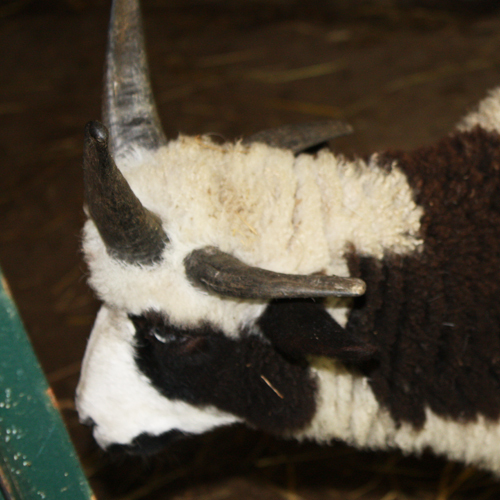 Horns can change so drastically, it’s a definite nail biting time watching the lambs develop. Raising Jacobs is full of promises and potential and sometimes disappointment, but it’s always exciting and fulfilling. 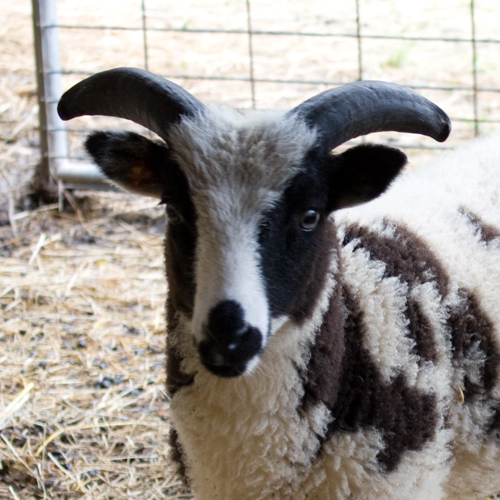 Dashiell’s horns are well spaced with widely swept laterals and tops set well back – he’s a favorite.. Interesting! I love learning about culling for the best traits, and the pictures are so helpful. Great post! Gallivant’s horns are interesting, there are so many things you can’t see in pictures 🙂 Pearson and Bristol are current favorites. Murphy’s horns are quite interesting! They are all beautiful!! Does notching always coincide with white dipping down into black eye patches? Notching has nothing to do with eye patches.